The infamous Steve Cockerill of Rooster, who is the 2017 RS Aero 7 World Champion will be running a Pre-Event Coaching Clinic, on June 25-26. Don’t miss the opportunity to learn from this RS Aero guru! One of America’s most inspiring Championship venues with the afternoon thermal breeze piping up against the Columbia River’s current to provide some fantastic long downwind rides through breathtaking mountain scenery! The Gorge is a unique sailing venue creating a wind-tunnel between the beautiful mountains that rise from the waters edge to nearly one mile vertically high in places. In summer westerlies are the prevailing wind direction, dying down in the evening. There are a number of charter RS Aeros are available via our friends at West Coast Sailing! Do you have a friend who wants to get a ride? Know some folks that are looking for their next boat? For further RS Aero charter and sales info contact West Coast Sailing by emailing BoatSales@WestCoastSailing.net or clicking this link westcoastsailing.net/boats/charters. 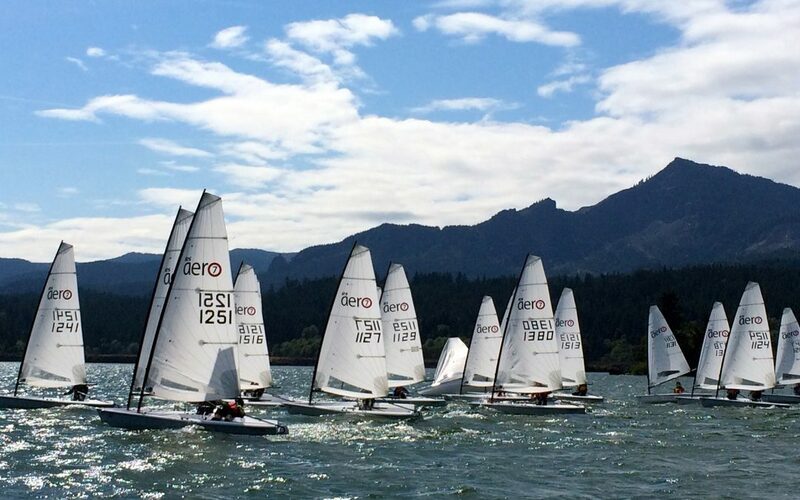 The 2020 RS Aero Worlds will be held at the Gorge so consider the NA’s in 2019 as a tune up for the first RS Aero Worlds in the USA! The North American RS Aero sailors are renowned for being a lovely bunch of people! Challenge yourself on the water with tight tactical racing, then enjoy a beverage or two and a good laugh with them on shore. Click here to enter and look forward to an awesome weekend of RS Aero racing!